While there are many child movie stars who have since become superstars in the American movie industry, there are also others who are currently on their way to stardom and Mallory James Mahoney happens to be one of them. 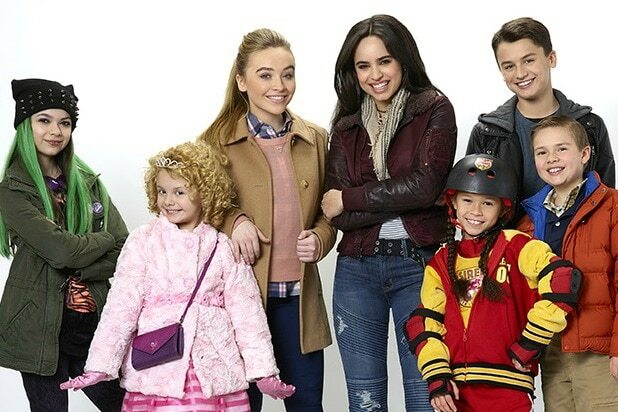 The young and talented actress garnered fame through her portrayal of Katy Cooper in the 2016 TV movie, Adventures in Babysitting. Mallory James Mahoney started her acting career in 2014 when she scored a role in the Sundance short film, Dig. Since then, she has continued to land interesting roles in movies and TV series. 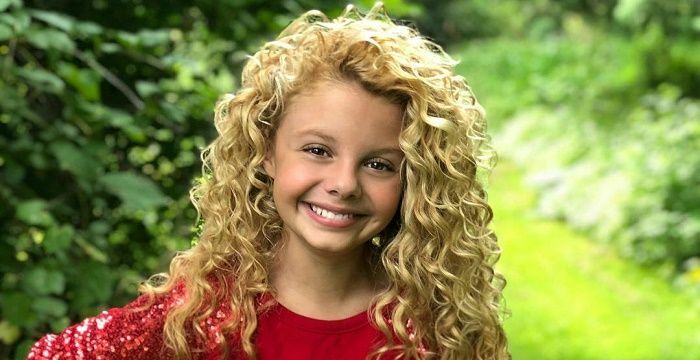 This thespian is undoubtedly one of the most sought after child stars in the American industry and looking at the upshoot in her career, it is safe to say that she is among the future stars of the industry. Read on, as we take you through her biography and other interesting facts about Mahoney below. Born in Fort Worth City of Texas in the United States, Mallory James Mahoney came into this world on the 31st of January 2005. She was born to American parents – Michael Mahoney and his wife, Natalie. She possesses an American nationality and is of Caucasian ethnicity. Growing up, Mallory James Mahoney spent her early years in Fort Worth along with her parents and family. She completed her basic education at River Trails Elementary School. The star developed an interest in acting right from a very young age and while in elementary school, she featured in various plays that were organized by her school. As a result of her outstanding performances, she was placed in gifted and talented classes during her elementary school days. Currently, in high school, Mahoney combines her education with her acting and has made sure to impressively balance the two. Prior to the inception of her acting career, the fast-rising star made several appearances in television adverts for notable companies including Chuck E. Cheese. Mallory James Mahoney scored her first acting role when she was nine years old with an appearance in the 2014 Sundance short film, Dig. There, she portrayed the role of Jenny and appeared alongside Craig Cole and Augustine Frizzell. She captivated the heart of many through her role in the movie and it also made way for her to land bigger roles in other movies subsequently. Later in the same year, she was a cast in another television film, Sober Companion along with Justin Long. The actress got her breakthrough in 2016 when she starred as Katy Cooper in another TV film, Adventures in Babysitting. The highly acclaimed and successful comedy film also has other stars such as Sabrina Carpenter, Kevin Quinn, and Sofia Carson, among others. After that, she went on to star as Taylor in Heaven Sent and as Megan in the TV series Day 5. In 2018, Mallory James Mahoney joined the cast of Disney Channel’s comedy series Bunk’d where has been playing the recurring role of Destiny Baker alongside Miranda May and Peyton List. Her other notable project is Tough Cookie where she portrays the role of Eleanor; Tough Cookie has a 2019 release date. Just like we mentioned earlier, this young actress was born into an American family and her parents are Michael and Natalie Mahoney. Mallory James Mahoney has not shared many details about her parents, however, it is already known that they are Fort Worth, Texas natives. Since she has not shared many details about her parents, it is also hard to tell if Mallory James Mahoney is their only child or not. Nevertheless, the actress once revealed in an interview that her parents are very caring and supportive of her acting career. Check Out: Michelle Trachtenberg Biography, Is She Married, What Is Her Net Worth? 1. Due to her 31st January birth date, her astrological sign is Aquarius. 2. As previously mentioned, she kicked off her acting career at the age of nine and her first film was Dig. 3. The actress was a straight-A student at River Trails Elementary School where she won multiple citizenship awards. 4. Mallory James Mahoney is an avid animal lover and she owns two pet dogs named Bark Wahlberg and Botticelli.